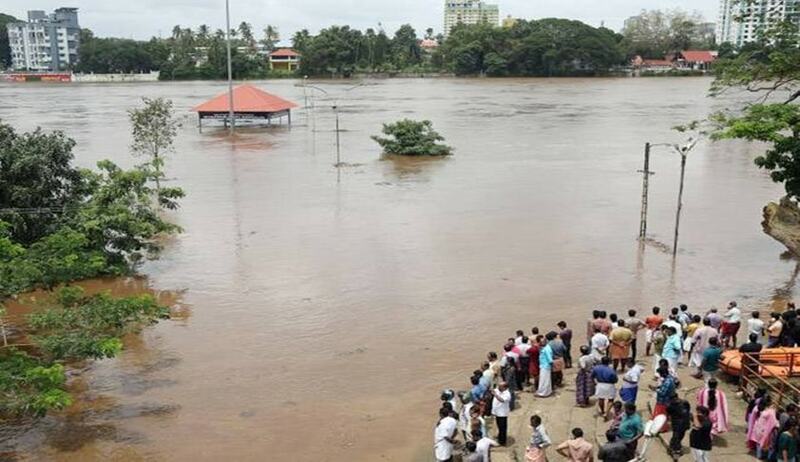 The Kerala Government has filed an affidavit in the Supreme Court stating that Tamil Nadu Government's refusal to start controlled release of water from Mullaperiyar dam when water level reached 136 feet, resulted in sudden release when water level neared 140 feet. This sudden release is stated to be one of the causes of flood in Kerala. The Affidavit was filed in response to a petition filed by one Russel Joy seeking announcement of Disaster Management Plan and constant monitoring of water levels by State of Tamil Nadu. The affidavit affirmed by the Chief Secretary of Government, Tom Jose IAS,states that Mullaperiyar dam and Idukki dam have similar catchment area; however, the storage capacity of Mullaperiyar is almost four times less than Idukki dam. Therefore, Mullaperiyar dam is highly vulnerable. It is also pointed out that the storage capacity of the Idukki dam between its Full Reservoir Level(FRL) and Maximum Water Level(MWL) gives sufficient room for dam managers to negotiate last minute flash flood situations. But, such cushion is not available in Mullaperiyar dam between the FRL of 140 feet and MWL of 142 feet set for the dam by Tamil Nadu Govt.
" ...the suggested cushion by Tamil Nadu Government for the Mullaperiyar reservoir which receives rainfall from a catchment area of 96% size of Idukki reservoir, has only 2ft (140ft to 142ft) equivalent to 0.540 TMC, capable of accommodating a very low inflow of 6250 cusecs for 24 hours, which is grossly inadequate compared with 73,287 cusecs for 24 hours available for Idukki", the affidavit stated. When the water level in Mullaperiyar had crossed 136 feet on August 14, the Kerala Govt had alerted the Tamil Nadu Govt, requesting for commencement of controlled release of water from it. The Tamil Nadu Govt was requested to release water at least when the level hits 139 feet mark. But that was not heeded by TN Govt. Although spill way release from Mullaperiyar was exponentially increased, from 883 cusecs to 15,892 cusecs on August 14, and later to 21,188 cusecs, that was not sufficient. Hence, all thirteen shutters of the dam had to be opened to Idukki downstream at 2 AM on August 15. "The State was managing the spate by controlling spill and letting a major portion of the flood waters to escape to the sea. This was done by implementing a strict operational control over the spill of the two largest reservoir systems of Idukki and Idamalayar in synchronisation with 8 small other reservoir systems in the above basin. But the sudden releases from the Mullaperiyar Dam, 3rd largest reservoir in the Periyar Basin, forced us to release more water from the Idukki reservoir, downstream of Mullaperiyar, which is one of the causes of this deluge", the affidavit said. The affidavit blames the operational scheme fixed by Tamil Nadu for Mullaperiyar dam for causing the sudden release. It may be noted that the Supreme Court had recognized the rights of Tamil Nadu over control of the dam, and had held that the water level of 142 feet was safe for the dam, as per the decision in State of Tamil Nadu vs State of Kerala (2014) 12 SCC 696. The affidavit states that more preparedness for Kerala Govt would have been available if gradual release had commenced when water level reached 136 feet. With a view to have sufficient flexibility of operation during moderate to high floods, it is imperative that Mullaperiyar reservoir should have enough manoeuvrability. Consequently we feel that the gradual releases should start when the water level reaches 136 feet itself, so that there should be at least 1.548 TMC space, which translates into 17,917 cusecs for 24 hours, thus we would get at least 24 hours response time to evacuate people and can avoid flash flooding of the downstream area. In the above context and with a view to avoiding a repeat of such situations, Kerala prayed that the Supervisory Committee formed by the Supreme Court for control of Mullaperiyar dam be empowered to take decisions by a majority opinion regarding operations during flood or any similar crisis.